We are Florida's leading concrete countertop and entertainment surface fabricator, specializing in custom, hand-crafted works for both commercial and residential applications. 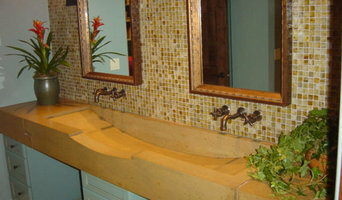 Our work includes beautifully hand-crafted concrete countertops, custom concrete sinks, larger than life staircases, unique shower walls and one-of-a-kind custom concrete bathtubs. We are centrally located in Orlando, Florida, and serve the entire state, and beyond! Contact us at (321) 438-5106 for more information on how you can experience the difference of Customized Elegance. We look forward to creating a special part of your dream home! Luxart Collection was founded in 2007 to bring high-end luxury faucets to select locations across the United States and Canada. Luxart is where style, artistry, and an obsession for quality meet to create innovative faucets and signature accessories that complement any décor. 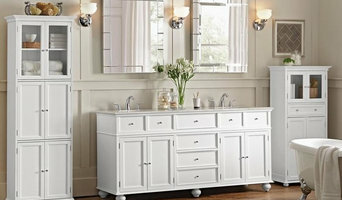 Southern Volusia's Versatile Kitchen & Bath Fixtures | 36 + Years! Central Florida's Best Resource for Luxury Decorative Hardware for your home, consisting of Door, Cabinet, Plumbing Hardware and various architectural accents. Everything from your Front Door Entry Set to your Master Bathroom can be selected from our unique and broad collections of decorative hardware. Kohler Premier kitchen and bath showroom catering to the greater Orlando area with unbeatable elegance and customer care. At Fahrenheit Plumbing, our expert Altamonte Springs plumbers are dedicated providing high quality plumbing services and complete customer satisfaction for clients in Altamonte Springs and surrounding areas. We are dedicated to providing the highest quality products and craftsmanship to all our clients. Our Altamonte Springs Plumber services offer customer satisfaction in 24 Hour Emergency Plumbing Services, Sewer & Drain Cleaning | Pipe Jetting, Video Inspection Of Sewers | Leak Detection, Water & Mold Removal, Water & Sewer Line Repairs & Replacement, Septic Tank Pumping | Repair | Installation, Water Heater Repair & Installation, Faucets & Toilets | Garbage Disposal, Grease Trap Pumping, Backflow Certification & Repair, Kitchen & Bath Remodeling, and Pipe Repair. Lighted Image's illuminated mirrors use LED lighting within the mirror for stylish enhancement for your bathroom or anywhere you desire. We believe our innovative illuminated mirrors will change the way you look and feel about a room, wall or space. Lighted Image’s illuminated mirrors provide another lighting alternative and are the must have addition to your home or office space. Since 1982, we have proudly served the Central Florida area with only the best service possible. 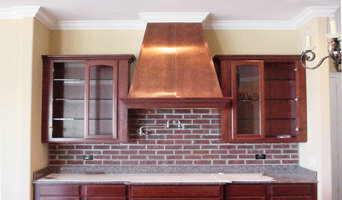 Our clients come to us because we have an excellent reputation for custom glass-work and customer satisfaction. We offer highly personalized service that will meet the unique needs of your project. We are an online and showroom driven business that specializes in shower rods that can be customized to fit your unique space. We manufacture products of the highest quality using only the best materials and finishes. We are able to provide designed rods and shower curtains for spaces that seemed impossible to outfit. We are an authorized dealer for cabinet and door hardware for many of the top manufacturers that do not sell directly to the public. We have been in business for almost 40 years, let us show you why. With over 15 years experience in measuring, designing, and installing Frameless Shower Doors, JV Shower Doors and More GUARANTEES a beautiful finished product. We are perfectionists and will not leave a job unless it is up to our very high standards. JV Shower Doors & More will come out and do a FREE estimate and draw out and design your shower to show you that we can give you exactly what you are looking for at a great price! Xtreme Mats is an original under the sink custom-fit mat uniquely manufactured to safeguard any cabinet from water damage, product spills, stains, scratches and much more. We have specifically designed our mats to offer maximum protection by creating a product that can hold from 1.2 to 3.1 gallons of water, thus reducing the potential for water damage to the cabinetry and flooring surface. In addition to durability, we meticulously created channels in the mat that will direct any liquid to a water sensor (sold separately) that will siren when liquid is detected. Our customized mats are sturdy, pliable and made from polyethylene through an injection mold process free from harmful toxins and VOCs. Xtreme Mats is a one-of-a-kind mat so durable and long-lasting that we offer a lifetime product guarantee. What should I hire an Orlando, FL kitchen and bathroom fixtures specialist for? Whether you are doing up a house you’ve moved into or you want to update your bathroom suite or fitted kitchen, working with an Orlando, FL kitchen and bathroom fixtures specialist will be extremely helpful. Even if you want to source your own fitted kitchens and bathroom fittings from bathroom and kitchen showrooms, unless you are a skilled craftsman someone will have had to make the fixtures and unless you are a plumber you’ll probably need some help with installation! On Houzz you can find kitchen suppliers, manufacturers and installers of fixtures and fittings in Orlando, FL to help with all aspects of the process. In the kitchen you can change more than just the sink and taps. Even without ripping out all the fitted kitchen units, you can still have bespoke kitchen doors made to replace the old ones and worktops laid over old surfaces or replacing them entirely. Instant boiling water taps, waste disposal units and induction hobs are just some of the gadgetry and convenient fixtures that are available for fitted kitchens from kitchen showrooms and suppliers. Take a look at the Orlando, FL kitchen suppliers listed on Houzz to find out the sort of fixtures and fittings they offer. A bathroom isn’t a bathroom without its plumbing fixtures and good bathroom fixtures can make or break a home when it comes to selling potential. Take time to pick out bathroom fittings that work together; you can opt for a whole bathroom suite from a bathroom showroom or bathroom installer, but if you don’t want the overly matching look, an Orlando, FL bathroom fittings specialist can help you choose individual but complementary pieces. Power shower installation can boost the appeal of your bathroom (no one likes a weak shower) and extra special features like his and hers sinks, shower body jets and roll top baths will give your bathroom style that added oompf. If you can’t stretch to extravagant bathroom fixtures you can still talk to a fixtures specialist about electric shower installation or installing a new toilet; it may seem like a lot of hassle at first, but when you leave it to a professional, all the hassle is taken off your hands. Many Orlando, FL kitchen and bathroom designers will install or offer help with your fitted kitchens, bathroom fittings and fixtures, so if you want an all-in-one renovation service, you can contact these professionals on Houzz as well. Talk to kitchen showrooms, suppliers and bathroom stores to see if they offer their own installation service or can recommend a local Orlando, FL installer for you. Here are some related professionals and vendors to complement the work of kitchen & bath fixtures: Kitchen & Bathroom Designers, Kitchen & Bathroom Fitters, Interior Designers, Cabinet Makers. Find kitchen or bathroom fixtures and fittings manufacturers on Houzz. 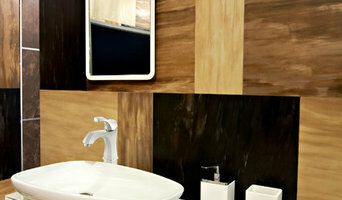 Check out Orlando, FL fitted kitchen showrooms and bathroom fittings installers on Houzz. You can also look through project photos provided by Orlando, FL kitchen suppliers, bathroom renovators, showrooms and designers to find fixtures you like and contact the professional who installed them.